When this happens, the application exits suddenly, the user has no chance to save any uncompleted work and the user gets no additional information. 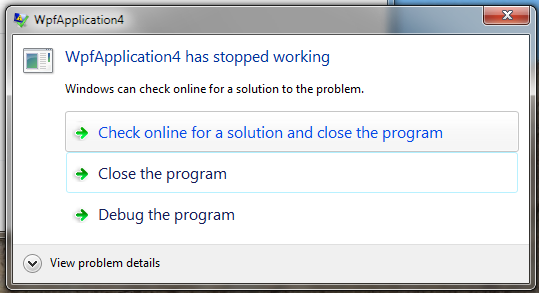 In short, the application crashes. You can handle exceptions that would otherwise be unhandled by handling the Application.DispatcherUnhandledException event. In the example below, we display a better error message and set the Handled property, to avoid shutting down the application.